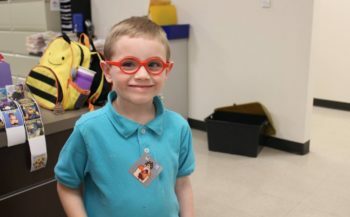 Vision loss during childhood can impact a child’s ability to learn important skills for growth, development, and independence, such as crawling, walking, reading, writing, and playing sports. 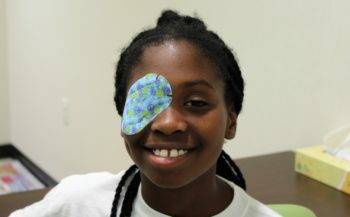 About 60% of the patients served by the Retina Foundation of the Southwest are infants and children affected by a pediatric eye condition. Can pediatric eye conditions be corrected? Your ophthalmologist, pediatrician, or family doctor may refer your infant or child to the Retina Foundation of the Southwest for specialized vision evaluation or participation in research or clinical treatment trial if a pediatric eye condition is detected. 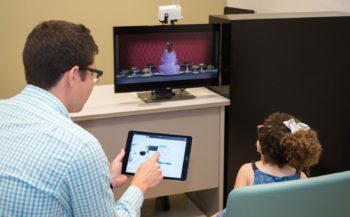 As a participant in research, your child will have access to specialized vision assessments, individualized treatment plans, and the expertise of our staff in the Crystal Charity Ball Pediatric Vision Lab. Research shows that if pediatric eye conditions are not treated early, the visual impairment may become permanent. How is the Retina Foundation researching pediatric eye conditions? 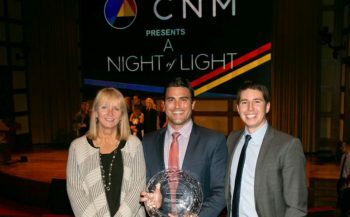 Scientists in the Crystal Charity Ball Pediatric Vision Lab are conducting research with the goals of earlier and more accurate detection of pediatric eye conditions, development of new and more effective treatments, and better outcomes for a lifetime of healthy vision. Our research is supported by prominent national agencies such as the National Eye Institute, Canadian Institutes of Health Research, and Thrasher Research Fund. 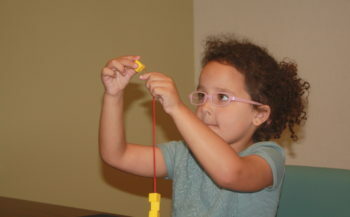 Read about our research initiatives for pediatric eye conditions.